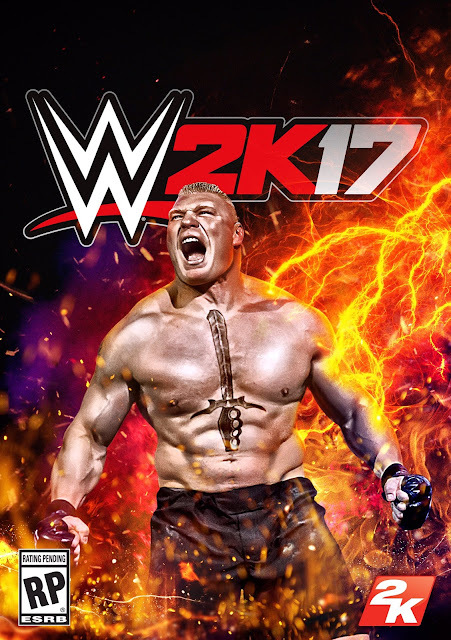 2K has announced that superstar Brock Lesnar will grace the cover of WWE 2K17. The "Incumbent Mayor of Suplex City" will also be heading up a worldwide marketing campaign for the game. "My career has been defined by dominating every opportunity presented to me," said Lesnar. "I am excited for my newest opportunity representing WWE 2K17 as the franchise's ambassador and honored to serve as the WWE 2K17 cover Superstar." WWE 2K17 is currently scheduled for an October 11th release on Xbox One and PlayStation 4.